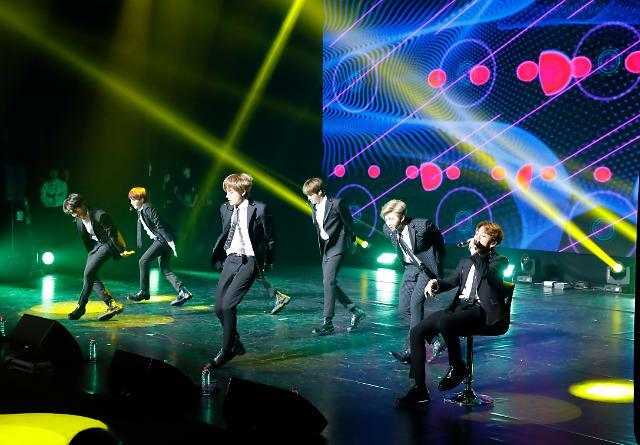 SEOUL -- South Korea's popular boy band BTS renewed a seven-year contract with its management agency in advance, citing trust and faith with the creator of the group which has opened a new chapter in the K-pop history. BTS, created by Big Hit Entertainment CEO Bang Shi-hyuk made its debut in June 2013. The initial seven-year contract is to expire in 2016, but Bang and BTS members agreed on the early renewal of their contract. 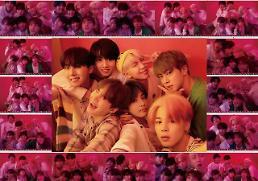 The contract was renewed, based on "deep trust and love" with BTS, Big Hit said, adding prominent professional sports stars get such treatment. "The philosophy of Big Hit is that we must give the best treatment to the artists who have shown the best results." Through the early renewal of a contract, BTS can engage in "more stable and long-term activities," the agency said, promising to provide greater and systematic support to BTS members. 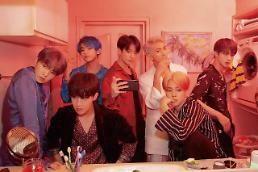 BTS members expressed respect for Bang, saying they admire him for presenting the vision for the future and awakening their viewpoint of the music and the world. "We will do our best to show a better performance for fans around the world, along with Big Hit that has provided full support," they said in a statement. Helped by the global success of BTS, Big Hit's net profit jumped 173 percent on-year to 24.5 billion won ($21.7 million) in 2017. Sales were up 162 percent to 92.4 billion won. The agency has no borrowings from banks.